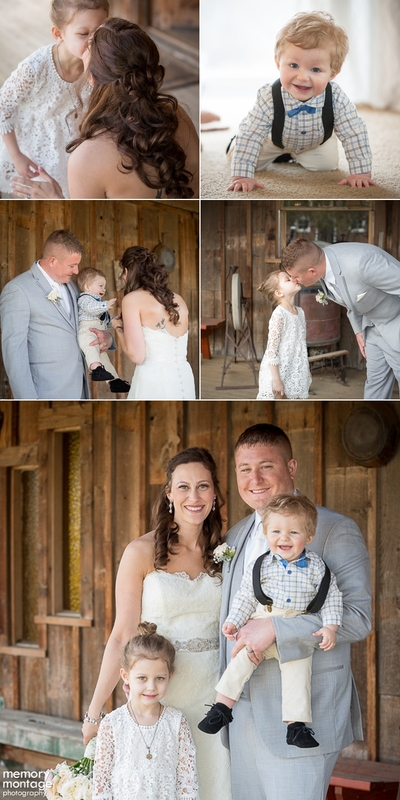 Rhiann and Haley photographed this wedding at Spring Creek Homestead in Union Gap on April 8th. Spring was in the air, which fit the blooming wedding colors, blush and champagne. 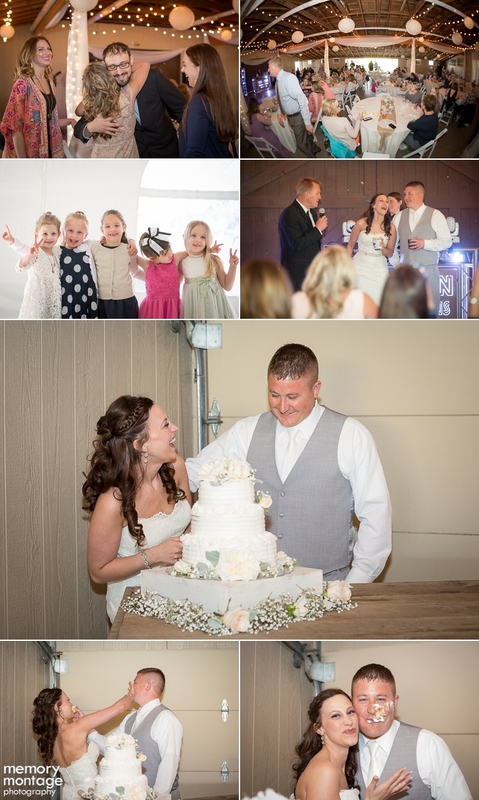 The bride, Melissa, was full of cheer on this special occasion! She was complete with an everlasting smile brought upon from the joyful surroundings. The groom, Greg, gave the appearance of a tough guy, but when his eyes met Melissa's the emotions kicked in and there was no looking away for him. Seeing the two together was a delightful example of eternal affection. Melissa and Greg show a wonderful romance, but let us not forget the entertaining moments throughout the day! 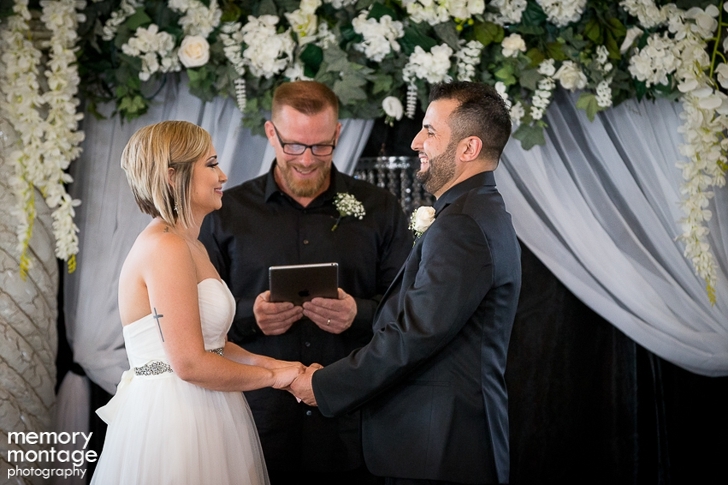 Greg's grandpa officiated the ceremony and delivered a captivating message. While we were capturing the lovely Melissa and Greg, cows decided to photo bomb us! Another fun twist on this wedding took place during the reception, where they played the "shoelywed game". This always makes for wonderful laughs! Melissa was dressed in a sweetheart strapless gown that buttoned from top to bottom down her back. The dreamy dress was from Unforgettable Moments to Remember. 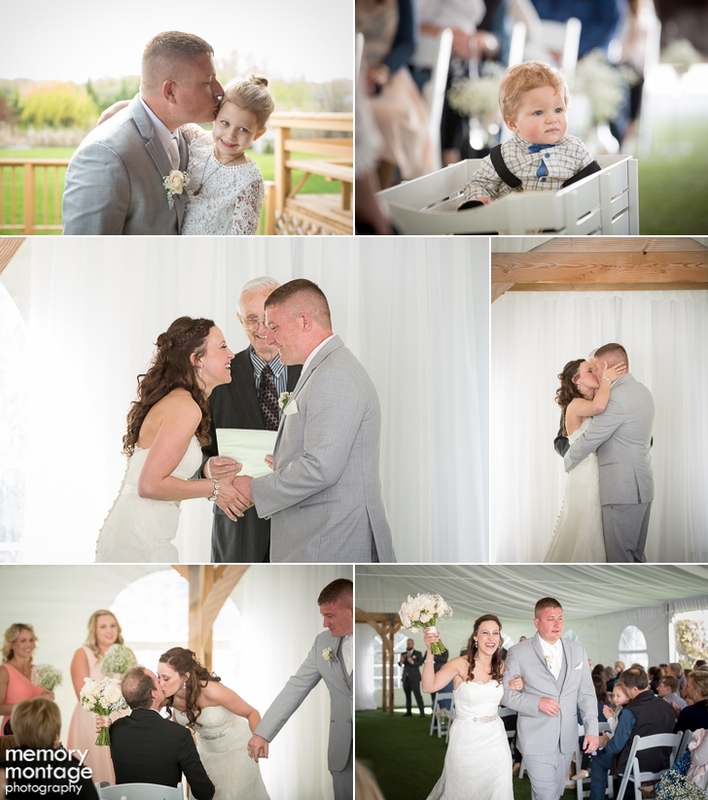 Greg wore a light grey suit from Men's Warehouse, which fit the delicate color scheme of this wedding. Each bridesmaid had a different colored pastel floor length dress from Azazie.com. 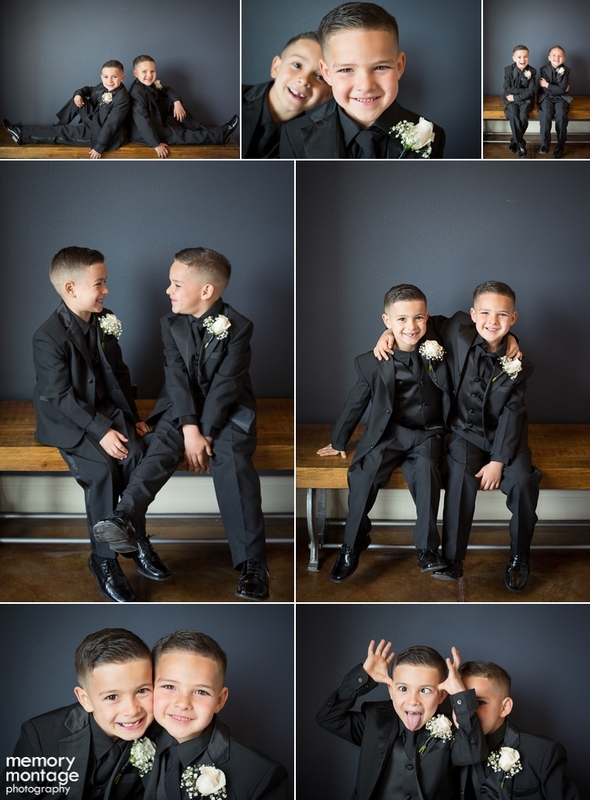 The groomsmen showed off in their dark grey suits also from Men's Warehouse. All the colors together created a captivating bridal party! 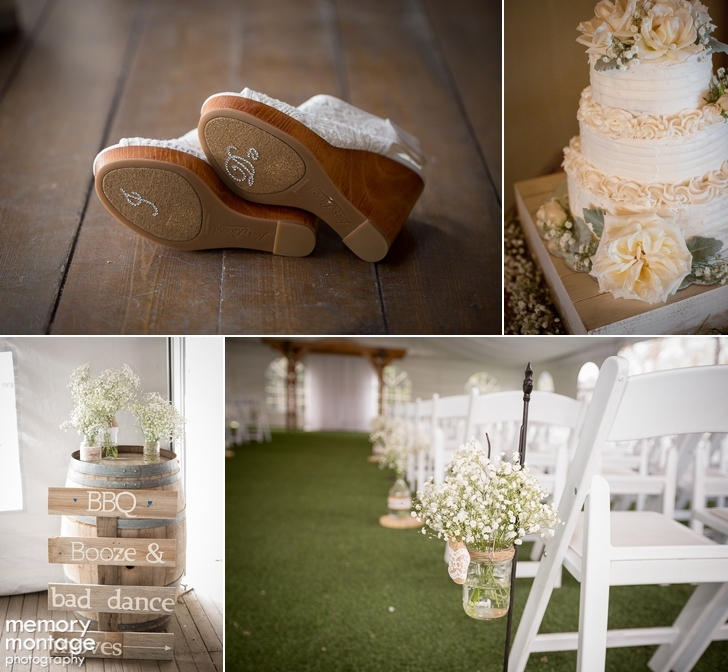 The details incorporated provided the essence of rustic spring style. Blooming Elegance crafted the brides and bridesmaid bouquets. Baby's breath surrounded the cake, made by Alyssa Palmer, as well as traced the aisle and was placed in the centerpieces. Burlap was used as a table runner, and brought the whole idea together. The night came to an end with celebratory dancing and laughing. 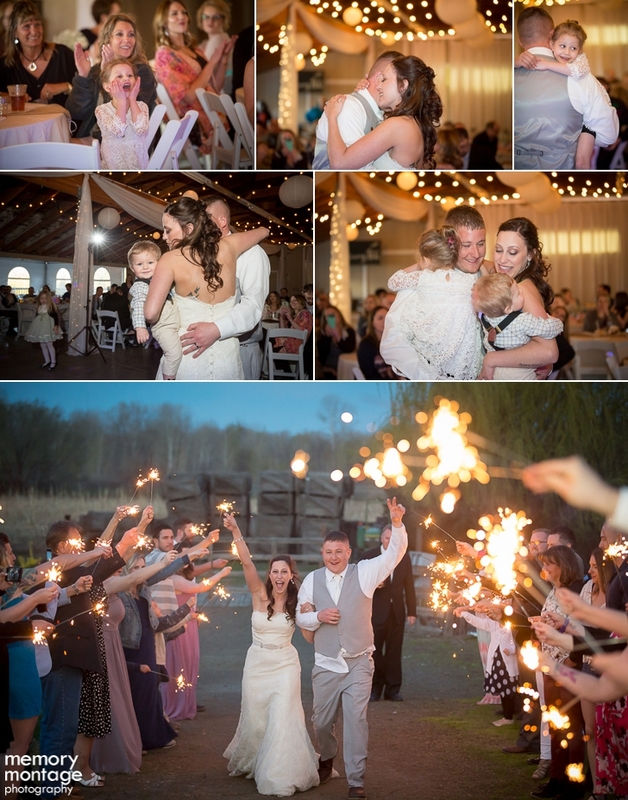 The couple executed a dazzling sparkler send off leading to stunning images! Being a part of these moments is always a pleasure to us. Congratulations Melissa and Greg! 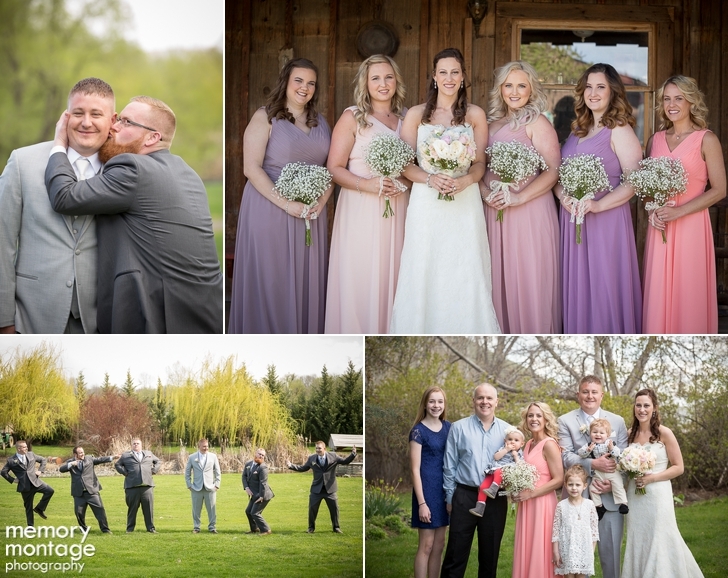 Tavis and Amy photographed this wedding on April 1st, at the Wine Country Event Center in Zillah, WA. The bride, Noemi, informed us that she grew up in Zillah describing it to be her "old stomping grounds" so it was neat that we were doing her wedding photos in an area where she grew up. The groom, JR, held a contagious smile through this extraordinary day. 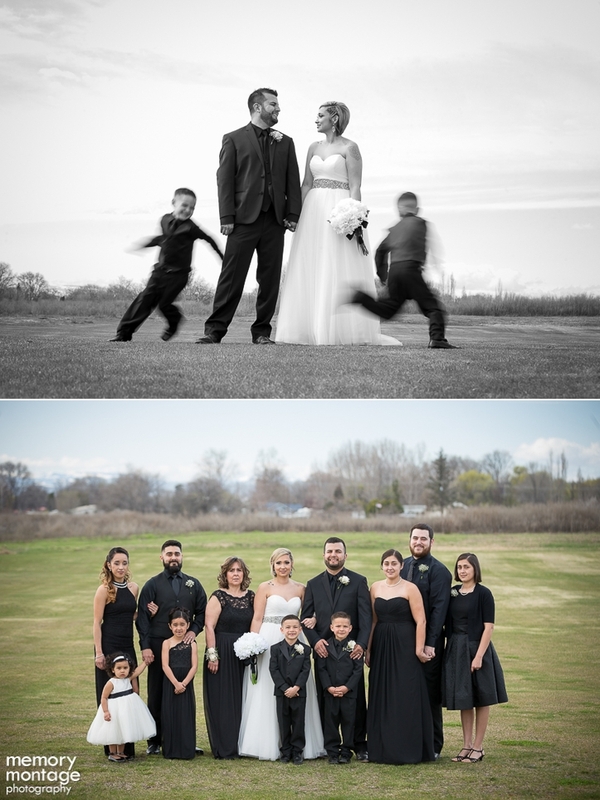 Noemi and JR chose to incorporate black, white, and ivory into their wedding, along with the guests attire color coordinating! The bride even had black stones integrated in her ring. 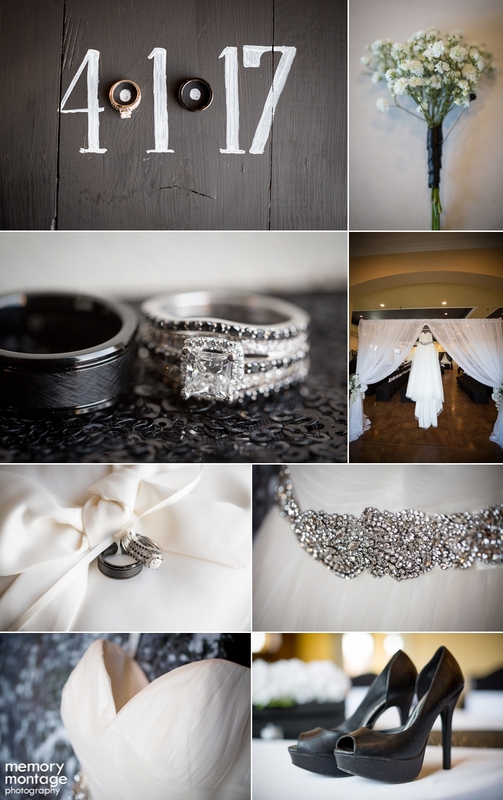 Noemi wore a strapless gown with an elegant belt from David's Bridal, and the groom was dressed in an all black tux from Men's Warehouse. Noemi had her matron of honor, Joanna, dressed in an exquisite black floor length gown also from David's Bridal. JR had Miguel as his best man and he looked very sharp in his black tux with a white button up and black tie, also from Men's Warehouse. It is obvious that family is an important factor in Noemi and JR's life. Their two boys, Micah and Adrian, were given the chance of a lifetime to walk their mother down the aisle. The thoughtful couple wanted to make this occasion as monumental as possible. This significant day was bound to bring family and friends together in celebration. 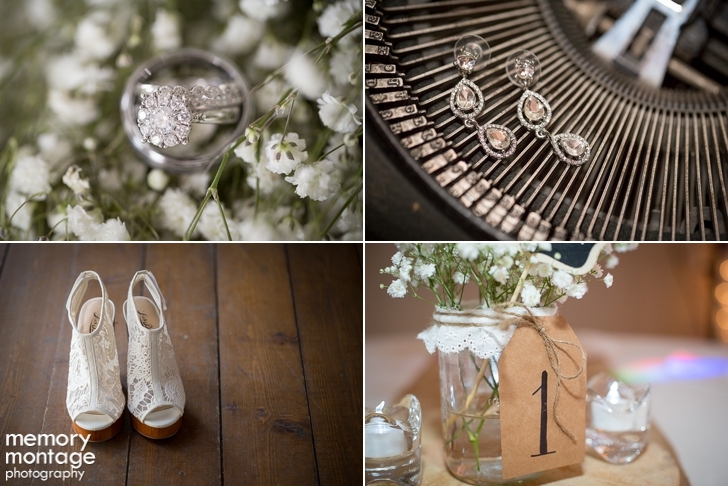 Including more than just the bride and groom! This day happened to be two of the kids’ birthdays, and two cakes were made to honor their birthdays, as well as singing the classic "Happy Birthday" song! The grooms brother and sister-in-law, Pablo and Meli, were also celebrating their anniversary on the same day. However, all the surprises could not be kept from the groom. JR's brother surprised him with a mariachi band at the reception! The food was deliciously catered by Lupe's Kitchen, and the ravishing cake provided by Kerri's Cakes. 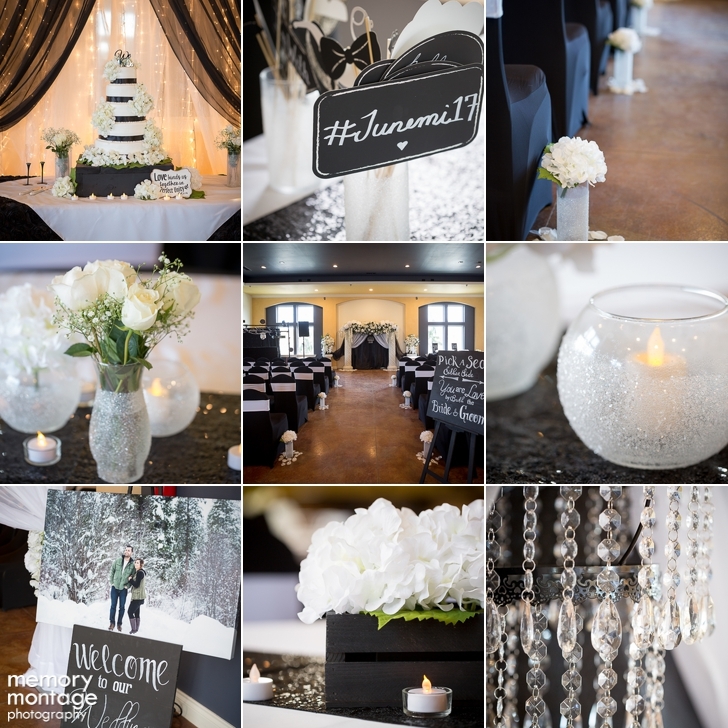 Cynthia’s Custom Decorations put her special touch on the décor to make everything look perfect and elegant. 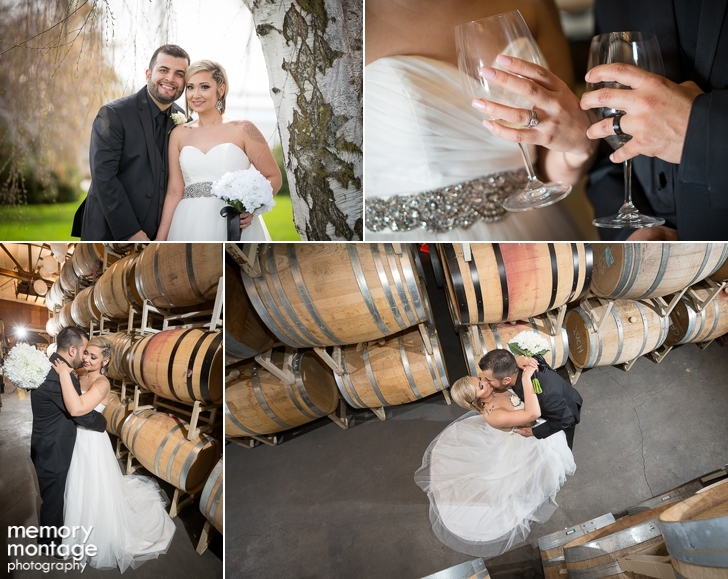 We had a lot of fun taking photos with Noemi and JR, especially as we stopped at Two Mountain Winery for some photos and wine tasting during the couple’s session. Congratulations Noemi & JR!